Originally published: New York: Bloomsbury. Read the book that started the phenomenon. 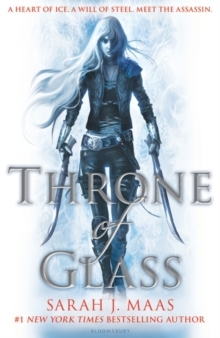 Sarah J. Maas's New York Times bestselling Throne of Glass series has taken the world by storm. Meet Celaena Sardothien. Beautiful. Deadly. Destined for greatness. In the dark, filthy salt mines of Endovier, an eighteen-year-old girl is serving a life sentence. She is a trained assassin, the best of her kind, but she made a fatal mistake. She got caught. Young Captain Westfall offers her a deal: her freedom in return for one huge sacrifice. Celaena must represent the prince in a to-the-death tournament - fighting the most gifted thieves and assassins in the land. Live or die, Celaena will be free. Win or lose, she is about to discover her true destiny.